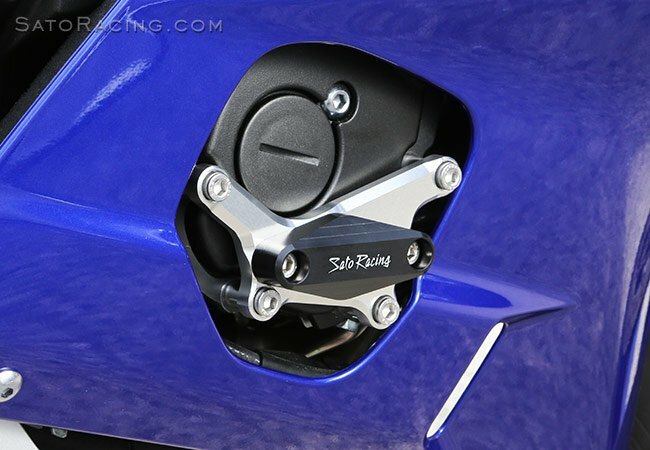 SATO RACING Engine Slider [R-side] is tough, abrasion-resistant DELRIN plastic. Excellent protection of lower front fairing. Attached over front engine case with anodized billet aluminum bracket and collars. With stainless steel bolts.